The Aqua Gelatine Urn is produced using sustainable materials to create an attractive and environmentally-friendly alternative for families. The urn has holes in the bottom, to allow water to enter quickly so that it floats only briefly and then gracefully sinks when placed into water. 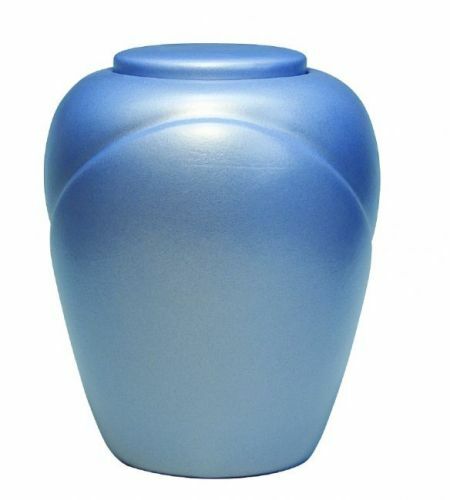 The Aqua Gelatine Urn measures 8.75’’ high x 6.89’’ in diameter and has a capacity of 3.28 litres which is suitable to hold the full ashes of an adult.